Check out how Duke Ihenacho does it. Usually when NFL players want custom cleats, they commission a sneaker customizer to create a one-off pair for them. 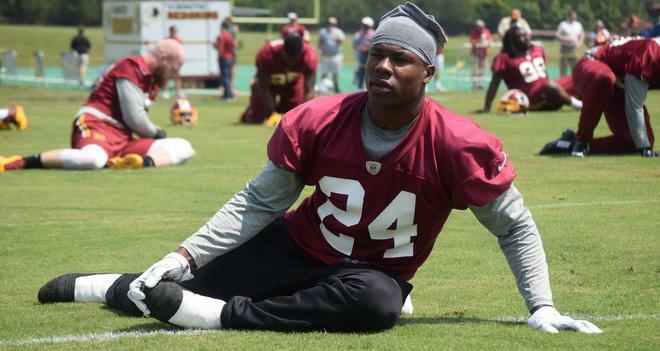 Duke Ihenacho, safety for the Washington Redskins, makes them himself. In a tradition that dates back to his Denver days, Ihenacho has been covering his Nike cleats in black and white tape to make them look like other kinds of footwear. 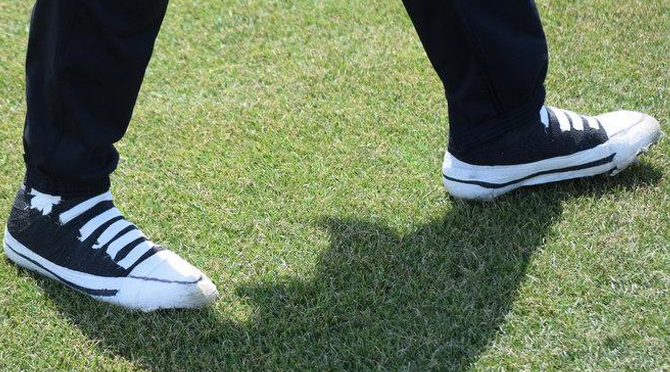 At a recent practice he remade the sneakers to resemble a pair of Converse Chuck Taylors. 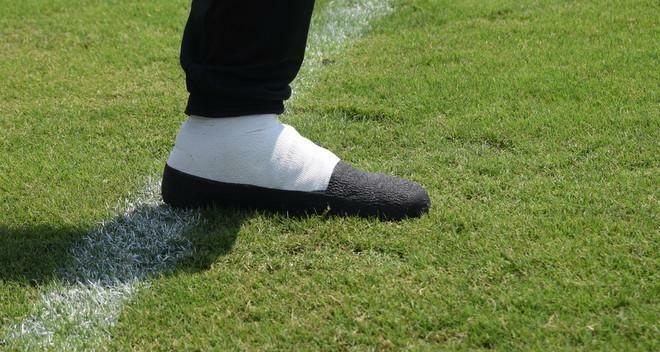 One time his tape makeover had his cleats looking like house slippers. This week he showed up to practice in a pair, shown off on his Instagram below, that he customized to look like Nike slides. The Washington Post caught up with Ihenacho to chat about his custom work. According to him, these tape jobs only take around 15 minutes to do. Unfortunately he probably can't get away with this in an NFL game – remember that Nike is not fond of its endorsed athletes, like Ihenacho, covering up Swooshes on their sneakers.